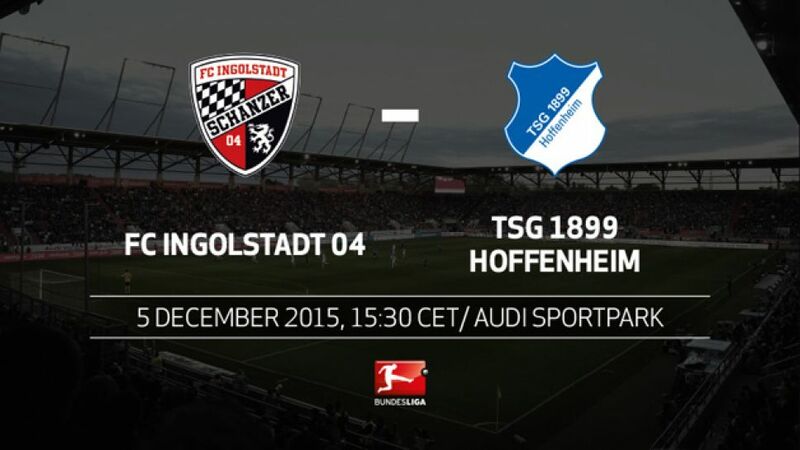 TSG 1899 Hoffenheim go in search of their first win of the Huub Stevens era at the fifth attempt when they travel to FC Ingolstadt 04's Audi Sportpark on Saturday (kick-off 15:30CET/14:30GMT). This is the first Bundesliga meeting between the two sides. Ingolstadt fell to a season-low 11th in the standings following last weekend's 4-0 defeat to Hannover 96.Without a win in seven, Hoffenheim are currently enduring their longest winless streak in three years.The Sinsheimers have scored five more goals the Ingolstadt, but have registered ten points fewer.Hoffenheim have surrendered leads (six) more often than any Bundesliga club, dropping 15 points in the process (three draws, three defeats).Ingolstadt took just one point from their first three home games of the season. They have picked up six in their subsequent three at the Audi Sportpark.